A new classic is born. 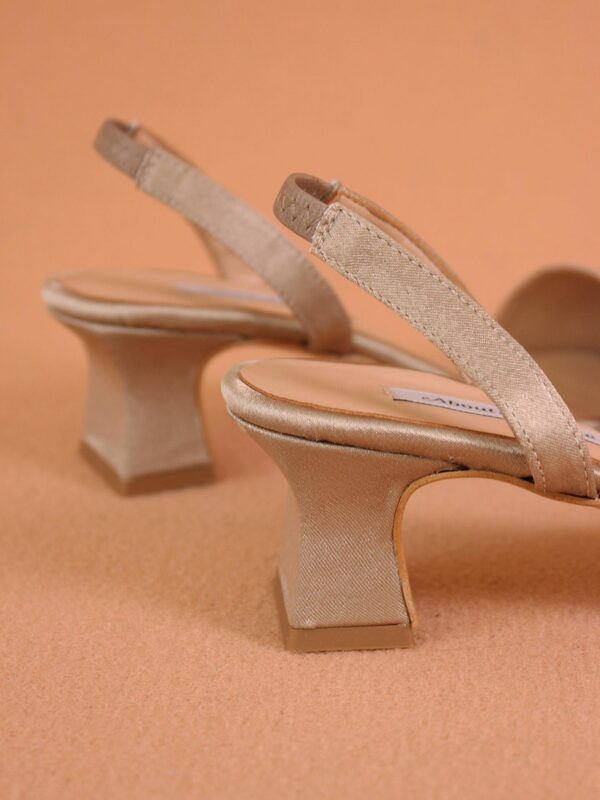 This simple sandal features a unique wide flare heel with an elastic on the back and it is made in brown satin. High heel 5 cm.